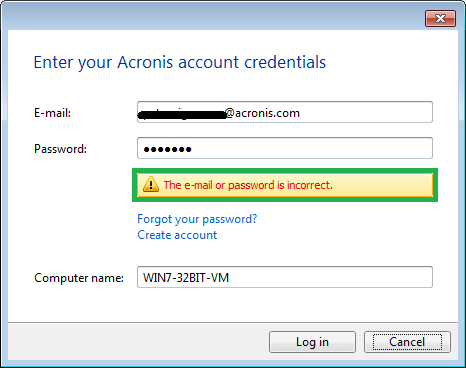 40648: True Image 2013 by Acronis: Login to Online Backup Fails with "The E-Mail or Password Is Incorrect." The e-mail or password is incorrect. The credentials information may be lost during communication with the server. Please logout first and re-login then in to solve this issue. See True Image 2013 by Acronis.